The Gain Intelligence portion of the event setup process is to allow you the opportunity to learn some specific details about the event registrants. The questions you ask your registrants will be required to be answered in order for a new user to complete the registration process. Examples below. 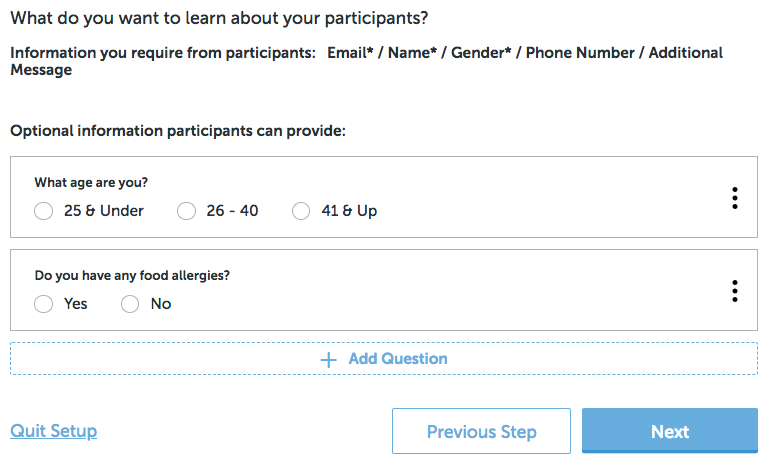 Simply click the + Add Question link to add a question. In the Question Name field, type the question you wish to ask. 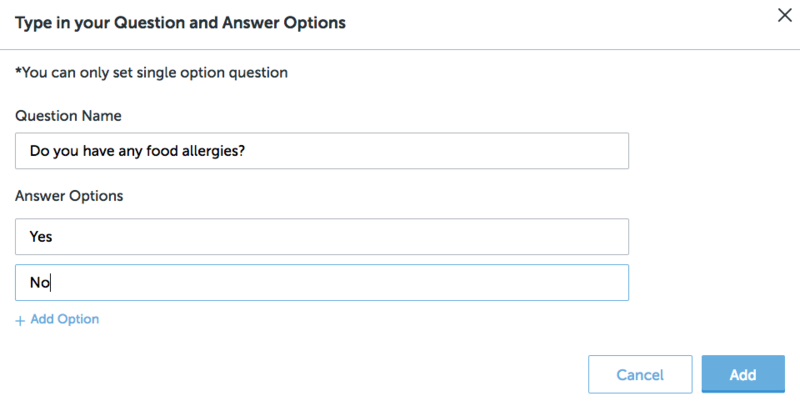 Add at least two answer options, and choose the + Add Option link if you wish to add additional answer options. *Note - These questions are multiple choice answers only. You must have a minimum of two answer options. When you are done with the question and answer options, choose the Add link. When you are done with the optional questions and answers, simply choose Next.